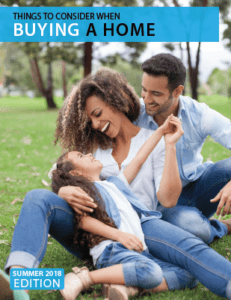 My 2018 Summer Home Buyer Guide is out and ready for you! You can download it for FREE, or if you prefer send me an email and I can get it to you right away. If you are thinking about buying a new home, in Carlsbad or one of our other North San Diego County communities, it’s essential to be as educated about the process as you can before getting started…even if you have done this before! 3. What to expect when buying a home (working with a Realtor like myself, getting a mortgage, closing costs). Also, my HOME BUYING TIPS AND ADVICE video series on my YouTube channel offers about 20 short videos on the essential things you need to know as a home buyer. It’s not everything you should know, but a good start so you will be aware of what to expect and will have some of your questions answered. Please don’t hesitate to reach out to me at any time with questions about the market, the home buying process, life in Carlsbad and North San Diego County, and anything else you are wondering about. You can reach me by a call or text on my mobile office at (760) 840-1360.